The failure of a single electrical component can bring a whole building to a standstill. If production has to be suspended as a result, each hour of downtime can result in heavy losses for a company. 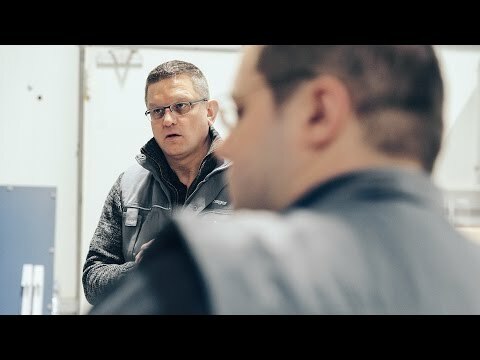 To the rescue and on standby is a team of electrical engineering specialists at Hager in Blieskastel, ever ready to provide quick professional assistance in cases like this. Members of this quick-response team are frequently out on the road throughout Germany in their trouble-shooting lab – a Mercedes Sprinter. This vehicle accommodates a complete workshop with its own state-of-the-art analysis lab. The equipment includes high-precision insulation meters, thermographs and various display units, some of which cost over 20,000 euros. Team members are some of the best in their field and have been specially trained to work under pressure. The quick-response team is now in demand among customers with electrical installations not even supplied by Hager, supplied instead by the competitors - such was the case with Marburg University Clinic. When testing a simulated power cut, the emergency power generators failed to start up, a dangerous fault, as extended downtime can prove life-threatening for patients connected to heart-lung machines. The hospital was already planning to commission Hager for full maintenance of their energy distribution system, this situation, however, required rapid assistance. “We identified and fixed a fault on the original system. It was a problem with level control,” explains Andreas Frevel, Applications and Solution Manager at Hager Group. 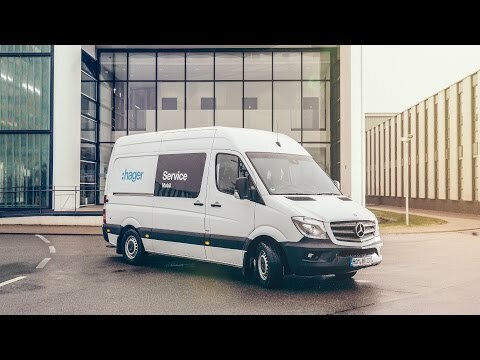 This ability to step into the breach in case of emergency, allows Hager to conclude complex service and maintenance contracts with major customers. “Increasing numbers of customers also want this type of service for large-scale systems from a single source. This involves a set of contractual regulations in which we guarantee our customers that we will provide on-site support within a certain time if there is an incident and supply replacement parts.” comments Andreas Frevel.